Looking for fun reads for your foodie friends? Here are five books with animated food as characters plus one joke book. 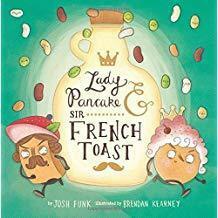 I recommend the Lady Pancake & Sir French Toast series by Josh Funk. The rhymes are funny and the illustrations by Brendan Kearney are delightful. I just finished reading Mission Defrostable where there's a mystery as to who is responsible for the frost in the fridge. As for doughnuts - or donuts - I have two recommendations. 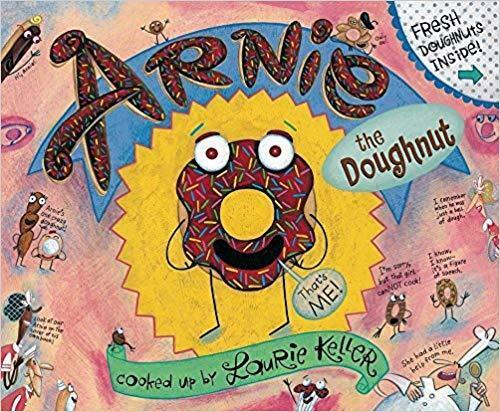 Arnie the Doughnut, cooked up by Laurie Keller, is about a sprinkle doughnut that wonders who will choose him to take home from the bakery. This also turned into a series called The Adventures of Arnie the Doughnut and includes other titles such as Bowling Alley Bandit and The Spinny Icky Showdown. The illustrations also by Laurie Keller are delightfully silly. 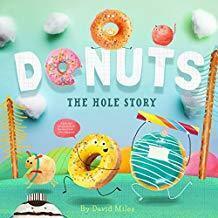 Another donut book I like is Donuts: The Hole Story by David W. Miles. It is done with photographic illustrations and the donuts are different characters. I'm a sucker for puns and you'll get your fill of them with this book! Years ago I came across Peanut Butter & Cupcake! at my local bookstore, Old Firehouse Books. I chuckled at the photographic images of manipulated 3-D objects. I hadn't seen anything like that before! Terry Border is both the author and illustrator and he's great at both. 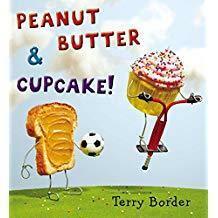 These zany characters also inspired a series of books with titles including: Happy Birthday, Cupcake!, Ready or Not, Here Comes Peanut Butter! and Peanut Butter's Yummy Numbers. 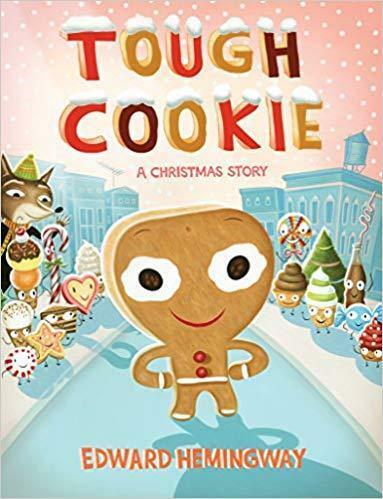 A fabulous Christmas story written and illustrated by the grandson of Ernest Hemmingway is Tough Cookie: A Christmas Story. Just when you think it's going to be a modern gingerbread man story, it takes a delightful twist and become an ornament story. You'll have to read the book to see what I mean. Plus there are recipes for gingerbreadmen cookies and gingerbreadmen ornaments. I LOVE Edward Hemmingway's illustrations - soft, almost French palette with animated cookies and ornaments whose personality leaps off the page. 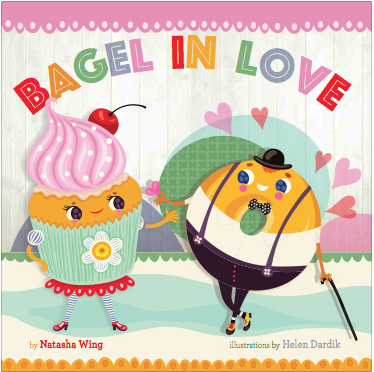 And lastly, I humbly recommend Bagel In Love, by yours truly. Every time I flip through the pages of the book, I smile. Helen Dardik created some wonderful characters out of baked goods to complement my punny humor. And her color palette is a feast for the eyes. Wouldn't it be delicious if Bagel turned into a series! For dessert, I recommend topping off your meal with jokes. 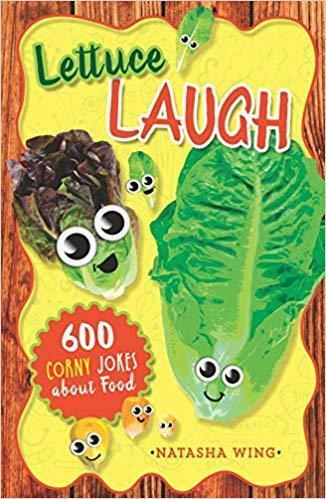 Lettuce Laugh: 600 Corny Jokes About Food is a great way to digest more food humor. Clean jokes appropriate for all ages. What do you call a lost sausage?